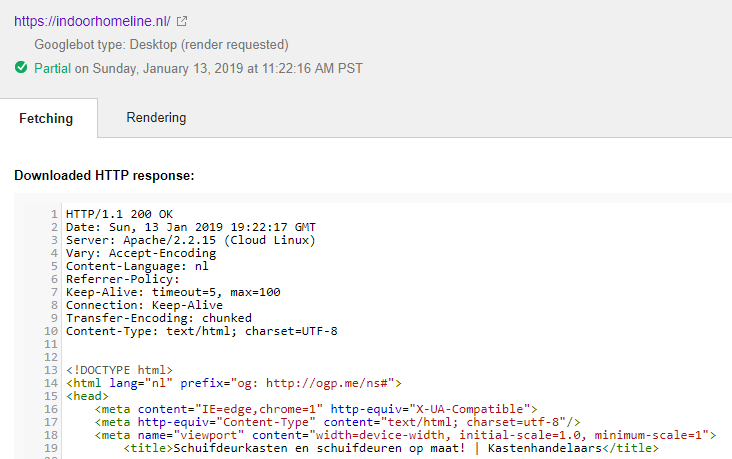 Recently, my client's hosting provider migrated http://kastenhandelaars.nl to http://indoorhomeline.nl. (both Wordpress websites) Appropriate redirects were placed and we changed the homepage. Although after the migration, I'm experiencing a rendering issue in Search Console. 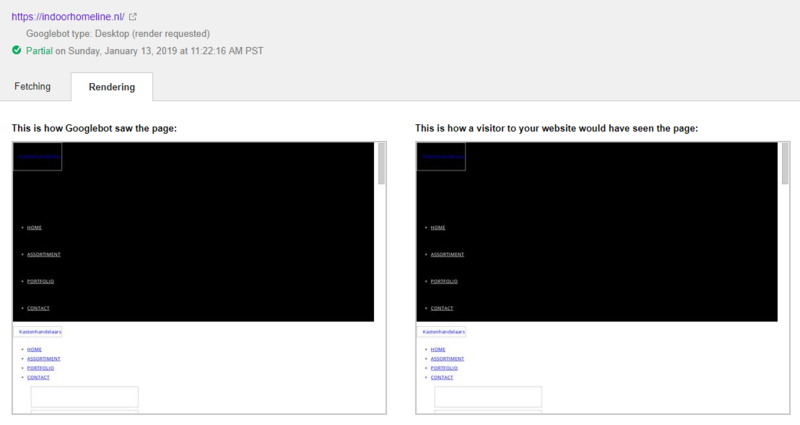 Google still renders the old domain homepage without the CSS. This old homepage was also migrated to the new domain, but we selected another page after the website migration. What do I need to do to fix this problem? Or what does the hosting provider need to do to resolve this? The first thing to do is allow time for your DNS changes to be updated across the board. Depending on your TTL (time to live) value for your DNS entry it could take anywhere from a few minutes to several days. Also try opening each of the stylesheets up in your browser to make sure they can all be accessed. If one or more can't be check to see that they are at the same path in your site root as they are through the URL as depending on how the site is setup and how the migration was done either the stylesheets may not have been copies across correctly or they could be at a different relative location in your site folder structure. Not the answer you're looking for? Browse other questions tagged google-search-console migration fetch-as-google render or ask your own question. Does Fetch as Google have a charchters / lines limit? And does it matter?